Camp Emeth is for children entering kindergarten through 8th grade. Grade level units enable campers to have fun within the comfort zone of their own age group. We strive to make each unit exciting by including special components that offer increasingly challenging experiences and new opportunities. Amitzim is divided into grade level groups for our youngest campers. These campers enjoy all of our daily and special activities including swimming, chuggim, music, sports, arts & crafts and more. Amitzim camp activities are designed to meet the age appropriate needs of this young group of campers. Each camper is challenged to participate in all activities in order to experience and grow throughout the summer. Each session they will participate in a late or late-late night with the camp day ending in the evening! Chalutzim marks the entry into Unit 2. These campers participate in all Unit 2 daily activities, where they mix with campers in 4th, 5th and 6th grade. Chalutzim campers enjoy an on-site overnight each session. This is a summer of growing and independence for these young campers. Rishonim is an adventure-filled transitional program that enhances the Camp Emeth experience. These campers experience their first out of camp trip along with Tsofim (5/6th grade). They end the day with an overnight back at camp. This trip is something that all campers look forward to when they are in the younger groups. 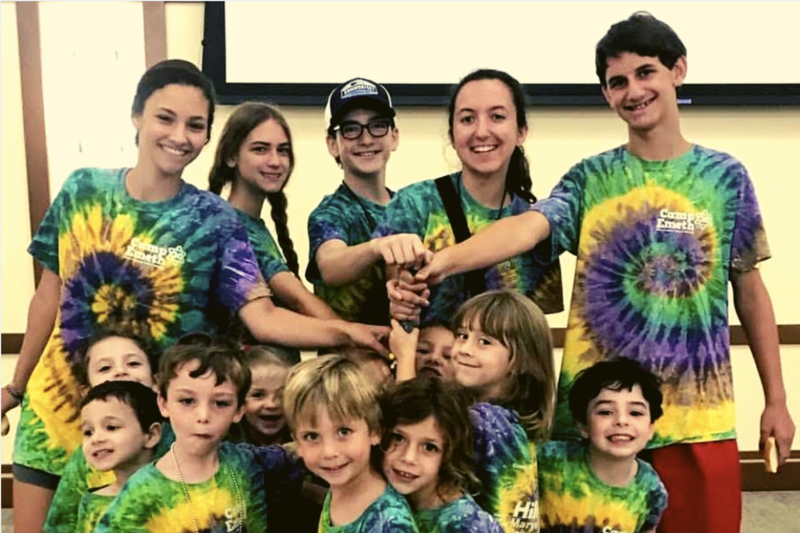 Rishonim campers participate in all daily activities with an added emphasis on the development of individual Jewish identity and leadership skills. Tsofim offers an innovative camp experience for older campers. While these campers participate in daily camp activities, staff encourages good role modeling and offers opportunities for further skill building. In addition to the out of camp trip with Rishonim, Tsofim campers experience a two night camping trip which includes a one day float trip at Ozark Outdoor Resort in Leasburg, MO and a visit to Onondaga Cave. Vatikim is specifically designed for middle school campers. Our program offers a rare blend of traditional camp activities, combined with community service, as well as weekly field trips and an exciting two day, one night trip to Chicago. Vatikim offers opportunities for personal growth on a variety of levels and prepares campers for moving into the CIT program. Participants are trained to assist counselors with age appropriate responsibilities and the supervision of an assigned group of campers. They will be required to stay with their assigned group for the entire camp day. We recognize that CIT’s are young people deserving of an adventure filled, exciting and fun summer. This program is flexible enough to offer the CIT’s valuable leadership skills while encouraging them to make the most of their summer experience. We will be selective in choosing the participants for this program as it is designed for mature, service oriented teens to assist in camp operations. Only responsible, friendly, outgoing and fun oriented teens who are entering 9th grade are eligible. There are no monetary costs to participate in this program CIT’s and in return we ask that the CIT is helpful, responsible and capable of assisting in program support and ensuring the safety of our younger campers.